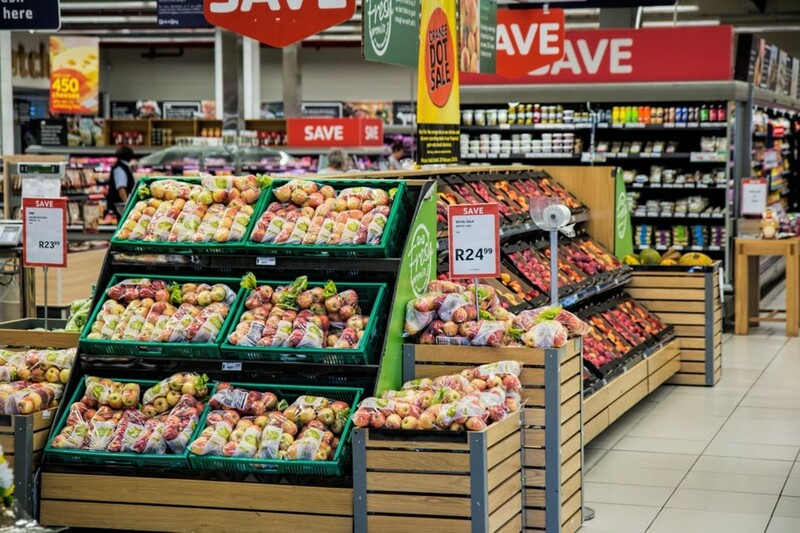 When we closely observe the supermarkets, you will find a lot of sales hacks they do to increase their sales. Let’s dive deep and you will be surprised to understand how every minute is planned in a perfect way to increase the revenue from every customer who walks into the supermarket. 1. Have you wondered why the aisles and the racks are never-ending and tend to confuse you and at a point, you become hopelessly lost and go in search of your family members. It is purposefully done to make sure you spend more time roaming and picking things which you had not planned to buy. 2. Supermarkets do not have clocks because they do not want you to rush back home. The more time you spend, more the money. This is the same reason why most of the supermarkets do not let the sunlight to enter so you can’t track time. 3. Most of the supermarkets play a slow background score which is soothing and it puts you at ease. When you are at ease, your energy levels are higher and you tend to shop happily without guilt. This is backed by research that says background music makes people spend 34% more time while shopping. 4. In most countries, the staple food (food that is consumed daily) are bread, milk, and eggs. These are not placed near the entrance of the supermarket. It will be in the middle but not together so that you check out the other 10000+ items in the store too. 5. Fruits and vegetables are always at the front of the store. When customers pick the healthy ones first, they give themselves the permission to explore the other ones too. 6. There is this famous formula that gets followed – “Eye level is Buy Level “. The products you find at the eye level are always the costliest. The cheaper alternatives for the same product will be found in the bottom most row. This eye level thing is not just for adults but supermarkets carefully organize kids’ favorites at their eye level. 7. Have you ever wondered why the length of the push carts is becoming longer every year? It helps you buy more and when you look at your half empty cart, you start thinking you are missing something and you will go in search of that. 8. The carts also have the ability to seat your kids. Supermarkets love kids. You pick items from your eye level. Your kid picks up the items from his / her eye level and unless you buy them, they will make you to the center of attraction in the supermarket by crying. 9. Earlier, supermarkets used to have baskets instead of carts. But marketers understood you will be conscious of how much money you are spending because you will feel the weight when you carry it around and buy less eventually. So they were replaced with carts with wheels where the weight is distributed through the wheels and you don’t feel a thing. 10. Supermarkets play a lot with the product placements. Let’s say there is an expensive product A. It’s placed right next to an even expensive product B. The job of B is to sell more A’s. You mentally start feeling that A is cheaper. This is an age old selling technique to show items that are way over your price range and then show the items that are a little over your price range so that you increase your sealing limit and go for the second one. 11. Famous supermarkets have an expert team that goes through the camera footages to understand and find a pattern in the shopping behavior of the customers and makes changes to the placement regularly. They learn from you and you pay for it. 12. If you find the bill lines are longer than usual, it is for a reason. You will find a lot of value deals or bundled packs on either side of the billing line. Many customers pick these when they proceed towards the billing. It also gives them a sense of content they have got great deals. The billing lines are narrower because it makes it difficult to drop the items on second thought. 13. There is a concept called ‘ego depletion’ in psychology. It says that the people’s self-control abilities are limited and get depleted as time passes. Supermarkets play a lot with the manipulating of the same. For e.g You find exotic chocolates first and give it a pass. When you walk around the store, you find more varieties of chocolates. You really want to buy but your self-control stops you. After spending a lot of time, fighting with your self-control, you reach the billing counter. There are a lot of chocolates present around the billing machine. Your self-control finally gives in and you quickly add them to your cart. 14. Most of the supermarkets have a bakery inside that bakes bread and cookies freshly. The fragrance of freshly baked cookies makes you feel hungry and cheerful at the same time. It also gives a strong message that everything in the supermarket is fresh. 15. Some deals say ” A maximum of 5 per customer “ and we are tricked into thinking that product is scarce. We will not normally buy 5 of those but putting such a number tempts us to think that we can buy 5 and it is a good deal. Most of the value deals or steal prices are for products that near the expiry date of the same. 17. Most of the purchases in the supermarket are impulse ones. Though the billing lines are narrower, the place surrounding the billing counter is filled with confectionaries and other delicacies. When the counter guy bills your products, these products in the shelf create a “now or never” moment and you pick them and add them to your list. 18. The supermarkets do not have chairs or any place to sit. This is because people tend to buy things and sit down and relax. But supermarkets want you to roam more in their aisles and do not give the time for introspection. 19. Once you walk into a supermarket through an entrance A, you are not allowed to come out by the same entrance even if you are just a few steps inside. You will have to take a long route to come out by the entrance B. Once you come out, you realize B and A are so close yet you have walked through for around a km buying things in the process. 20. As soon as we enter the supermarket, most of us navigate through the perimeter of the store. That’s the reason why perimeter lane is broader and the brands that are at the end of each aisle are easily the ones that get the most attention. So the supermarkets usually place the branded and expensive ones at the end of the aisle and some brands even pay to get the slot. Next time when you walk into a supermarket, take a quick look and observe the signs. Try beating them by going with a planned list of items to buy and that’s a challenge that is quite difficult to conquer. Really an eye opener . Thanks for the valuable inputs. From next while stepping in to the supermarket, my eye will start exploring all these points. In addition I will restrict my self and focus only the required items. Thanks Santhosh for your feedback. Glad you liked it. Good one Sundaresan.. well researched and well put..
Good, fast-paced article. Quick info. The photo is very good. Thanks Anil for the feedback. Looking forward to writing many more. Very useful tips to look for and not fall for it. Good insights.